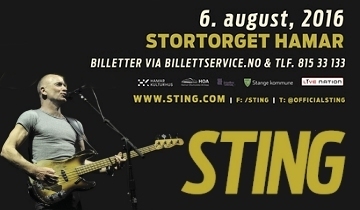 On Saturday, August 6, 2016, Sting will perform at the City Festival at Stortoget, in Hamar, Norway! Tickets will go on general public on-sale beginning Friday, January 22 at 9AM (local). See you on the road! For more information, check out the tour page.